Heat oil to 300°F in a wok or Dutch oven. Line a large platter or cookie sheet with paper towel and keep it nearby. Reserve half of corn kernels and place the other half in the blender or food processor along with red curry paste, egg, rice flour, baking powder, and salt; blend until smooth and transfer mixture to a bowl. Stack up basil leaves and roll them up tightly into a roll. Slice the roll crosswise as finely as possible. Fold the strips into corn batter along with reserved whole corn kernels. 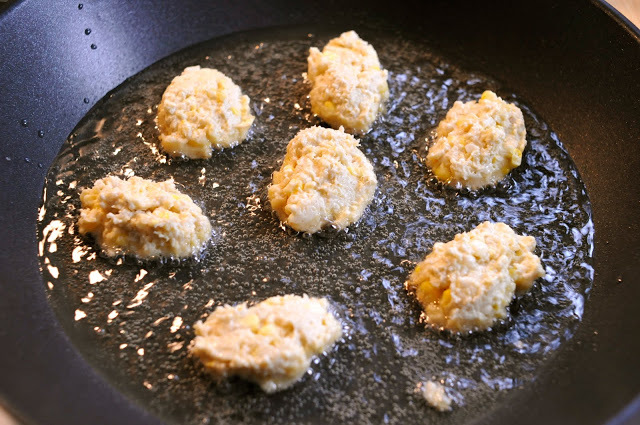 Drop corn batter very gently into oil by the tablespoonful. Do not over-fill pot. Flip them around to make sure they're browned evenly. 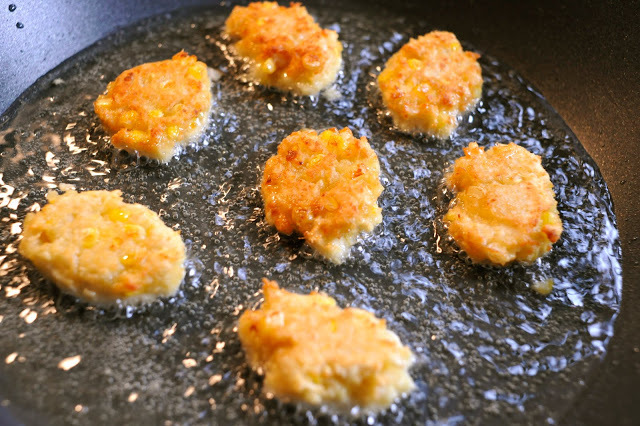 Once they're golden brown and the start to darken around the edge, remove the fritters from the oil and allow to drain and cool on the paper towel-lined platter. 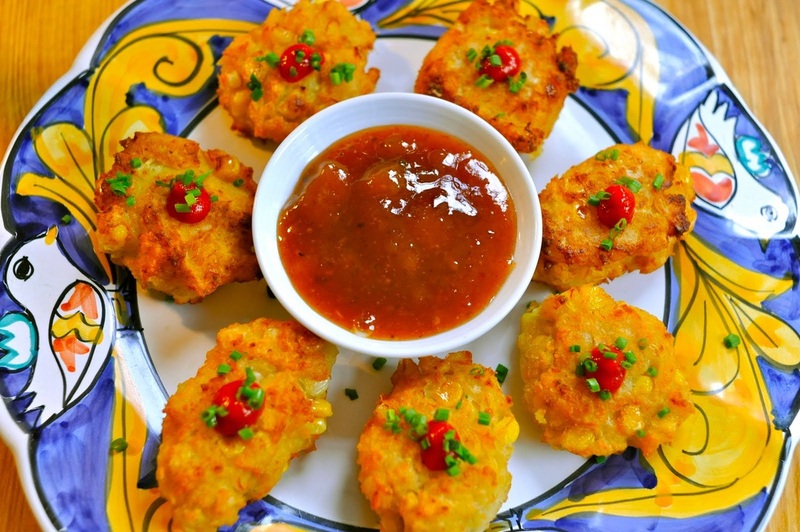 Repeat until all the fritters are cooked.